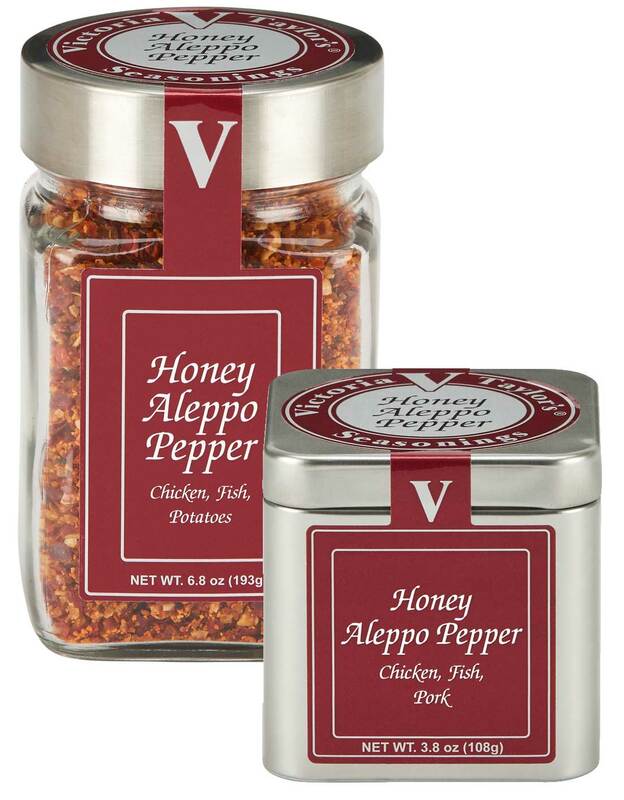 Honey Aleppo Pepper Seasoning delivers a spicy-sweetness to your recipes with its unique combination of natural honey granules and Aleppo Pepper. There is nothing like it in the market. On the palate, this seasoning blend is both sweet and spicy with great flavor depth. Honey Aleppo Pepper Seasoning caramelizes as you cook to add a spicy-sweet kick to your favorite chicken, fish, pork, and potato dishes. Honey granules 35%, demerara sugar, sea salt, garlic and onion, mixed spices (including Aleppo Pepper 4%, chili pepper), paprika, citric acid, smoke flavor, red pepper oil, and silicon dioxide added to prevent caking.